Space saving design with a footprint of 74 inches, allowing this to fit in any home or gym. Smart design that helps to keep track of your heart rate and workout milestones. User-friendly LCD console to do the monitoring for you. 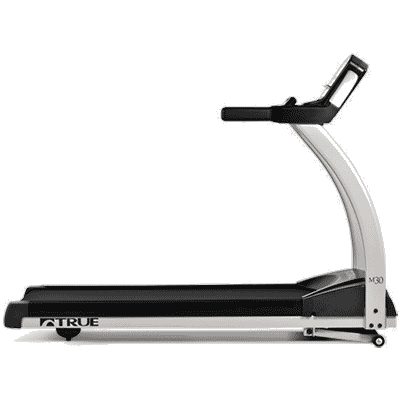 The TRUE M30 Treadmill is a compact treadmill that was manufactured with you in mind. Even though it is small, it does not affect the strength of the workout it offers. 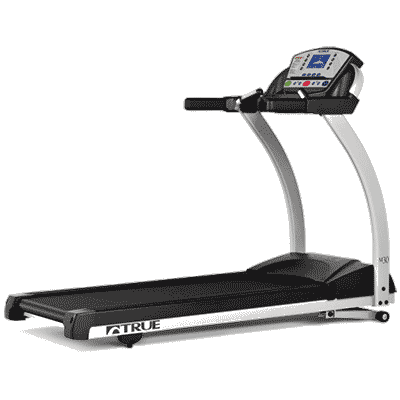 This treadmill has a speed range of 0.5 to 12.0 MPG and an incline reach up to 15%. The frame construction is robotically welded heavy gauge steel with handrails that are covered in foam for comfort. 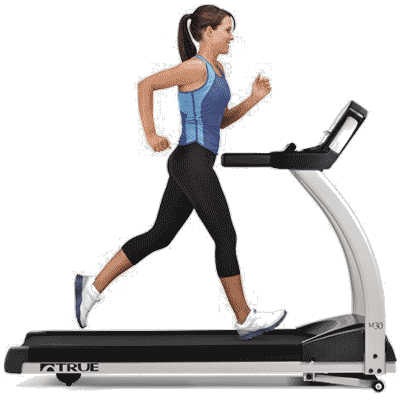 This treadmill was built for safety featuring a safety clip and large straddle covers to keep you safe. 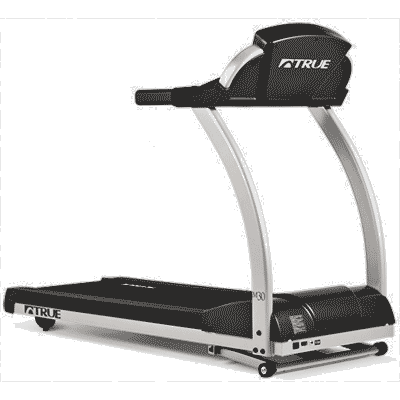 This treadmill comes with two water bottle holders, an accessory tray and a reading rack for your comfort. It offers a residential lifetime frame warranty, a 30 year motor, a 5 year parts and a 1 year labour warranty.